WorkCompass's award winning performance management software helps organizations move towards a continuous performance management system. 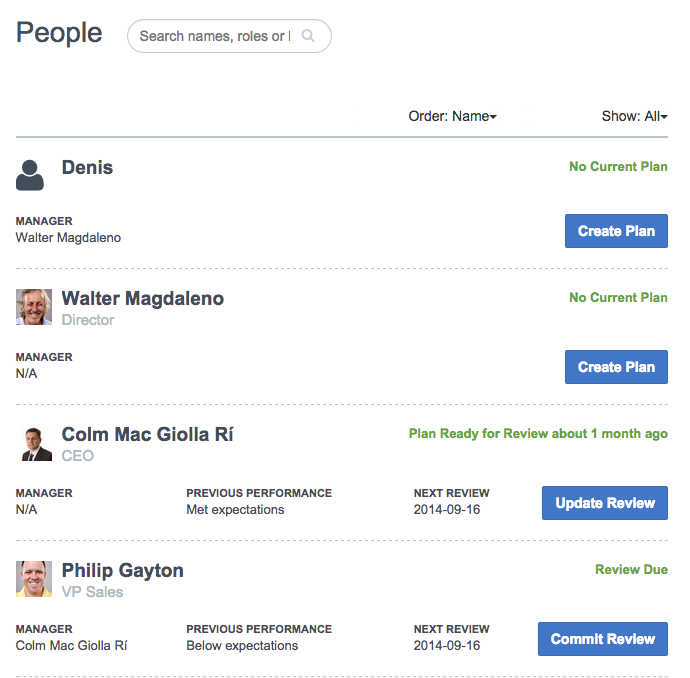 Our solution includes goal management, performance reviews, real-time feedback, surveys and performance coaching guides in an easy to use interface that HR and employees love. Cons: Off the shelf systems have its limitations in terms of customization. But WorkCompass has helped forced us simplify our internal process. Overall: This is our first year with WorkCompass and we are really satisfied with the product and more importantly the customer support from day 1. The system is quite easy to use for employees and administrators. We decided to move to an online performance management system to meet the growing needs of automating our systems within a multi-location organization. We surveyed the market and shortlisted three providers of which WorkCompass was the most simple system, very reasonably priced and more importantly their personalized customer service was and to-date has been exceptional. Before we went live, WorkCompass provided training to all our employees in different time zones. - reporting function is great to see trends, completion rates, calibration etc. So far we are very satisfied with the system and the service. 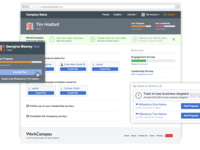 based on our experience, we highly recommended WorkCompass for small, medium and big organizations and companies. Recommendations to other buyers: It has been a great experience with WorkCompass. Their features, proposal and costing suited our needs. Pros: The best part of WorkCompass is the way that it automates alerts in relation to the milestones that you set. It has an easy to use interface and is very reliable. Once you have mastered the basics it is very intuitive. Cons: I cannot really think of anything as it is far superior to the system that it replaced. Possible it could be even more visual and possibly some more graphs so managers can see at a glance the status of their team members. 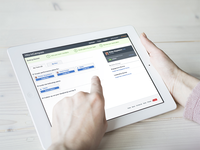 Overall a good product that gives employees the ability to manage their own shifts. Pros: The ease of use and access from anywhere, that i don't need to assign a team member to manage employees time off or shift swaps. Cons: I dislike that an employee cannot see their rota for 12 months, they have to go in and view each month. Some teething problems but system in use now. Need to ensure no big input of data next year. Pros: Personally, I like the ease of the administrative functions. It is easy to add a new person for instance. I also like the data that it can generate - i.e. the analytics are useful for reporting and KPI purposes. Mostly easy to use - we have had to adapt the way we use the system to our structure of performance management - managers and employees seem to have had relatively few usage issues. However, there was a big time commitment with data input initially - due to our performance management/KPI structure, which was well advanced before adopting WorkCompass as the new software. Cons: The time commitment required from managers to enter data at the start - our goals are cascaded down from company strategic goals to department to team to individual, therefore they are specific and defined. We are hoping not to have that time commitment again at the start of the next FY in November, so need to plan a strategy for that. A lot of our company strategic goals remain the same year on year - with updated targets and KPIs which then filter down to departments and individuals. Employees do not set their own performance goals - they are agreed with their manager based on the company strategic goals and their role. WorkCompass is not as suited to an environment like ours where our performance management model is established and structured as it is to an environment introducing performance management or performance management software for the first time. Therefore we have had to somewhat force the system to adapt to our needs and it took some time to figure this out. Amazing! Client support has to be one of the best I've dealt with. Pros: It is extremely easy to use and has transformed our PDP process. Moving from an internally built system to WorkCompass was seamless and well received by staff. Having the ease to access the system anywhere has enable us to review 'live' performance information. Overall: Live data, greater analytics and seems less transition from an excel document to an online solution. WorkCompass has been a pleasure to work with. The staff is very responsive and flexible. Pros: WorkCompass is a very intuitive, easily customized program and it is very good value for the cost. The program allows you to individualize performance evaluations to provide for a more meaningful process. The goal setting is a valuable feature and if used correctly, it can increase productivity and ensure your employees keep their focus where necessary. Cons: It does take some getting used to for the committing of a plan and going through the actual review. Also, if an employee is supervised by two individuals, the system is not set up to allow two evaluations. Overall: We were able to move away from paper reviews to an automated performance review system that was individualized and customized. Cons: No cons really maybe could colour code reason why they are out if the office just so I know if sick or in training. Pros: Eliminates paperwork, encourages interaction between management and staff, puts a structure in place which is visible at all times. Compared to other systems I found the price competitive and the software much easier to view and use. The WorkCompass staff have been very supportive regarding any queries or issues raised before and after implementation and are quick to respond. The milestone and email reminders are very useful to ensure objectives are met, as are the conversation guides that are emailed to managers as it equips them with the info they need regarding how to structure meetings and approach tricky situations. Cons: Would like if there was an instruction manual to provide to staff rather than just video training to use as a point of reference. Overall: Puts more structure in place, encourages conversations and engagement between management and their teams. It generates performance data allowing managers to make informed decisions on staff. I use the workcompass site for Performance reviews both for myself and my team. Pros: I like the fact that all my old performances are kept in one place and I can reference them when I wish and how easy it is to look after my direct reports. With our old way of working it was very easy for the forms to go missing as they were only kept hard copy in the business. Overall: Online systems are always a better way to store data. My experience using the software is very positive. I find it easy to use. Pros: Ease of use, reminders to enter details before deadlines. Achive of past records and growth within organisation with displays of recognized skillset and room for improvement. Cons: Editing is not easy. I find the suggestions limiting and would prefer a wider choice of qualities an employee would like to develops. Skills to develop could be suggested as well. Overall: I am able to see my records from period of employment till present. I am able to view my achievements and recommendations from supervisors or line managers. Simple & quick tool for someone who does not have a lot of time to dedicate to performance mgmt. Pros: Implementation was fast and was helped by great customer support. Denis and the team really did go above and beyond my expectations. Feedback from our employees has been great, we used to do this on paper so it has sped up the process for everyone. Great reporting capabilities as well. Being able to map our employee's performance and potential has been a really useful feature for us. Cons: Some parts of the system can't be customised but it has plenty of flexibility to allow us to do what we need to do. Cons: To edit a committed plan you need to change the dates to be able to save it again it won't allow a date in the past. There is no history to see what changes have been made. The option to add to the library isn't restricted and therefore the same things get added repeatedly. Overall: It's helped us to steamline our process and the email reminders are great for managers to ensure they get their reviews done on time. Great. Process is working really well now. Simple and easy to use. Pros: Very easy to use, so uptake is fast. Excellent Support. People now see value in the performance process - More conversations and note taking - Simple data reports to help make decisions. Very happy. Cons: No cons really: I am looking forward to the new reporting functionality and changes that are coming down the line. Overall: Have recommended to several peers. For me, the simplest thing is the conversations that are being facilitated in both directions (from team to manager and vice versa). It's one of those "I wish we had known about this years ago" things that embeds into the organisation. Comments: We decided to look for a new service provider because lot of the staff were complaining that the current system and process was too complex. They were spending too much time trying to figure out the form and the system and not enough actually talking to their line manager about performance. As well as that HR had absolutely no data on performance. We looked at 5 systems before decided to go for WorkCompass. We choose them because we thought it would be easy to use and we were right. It was great that we could configure the system to our process. Staff tell us they really like the system. Thanks for taking the time to complete this. An excellent performance management tool, I would highly recommend WorkCompass. Pros: Very easy to use (no instructions needed!). Allows me to mange performance expectations for the year ahead and beyond. Exceptional customer service, very knowledgeable team, who are always available to help and support. Cons: The library of Goals and Competencies could have been better, however we created our own bespoke ones. Overall: A far more professional approach to professional development. Easier to track who has completed reviews. Pros: Performance score and graphs against company average reassure me of my own performance. Cons: Perhaps this confusion stems from a poorly implemented performance plan by my employer but I'm never really sure what forms I'm supposed to fill out. It doesn't help that, on my first day, I created a plan without realizing my reporting lead was supposed to create it for me and we were unable to delete my own plan to clean up. Now I constantly get notification emails reminding me to mark goals as completed twice. It took me a long time to grok the difference between my plan and my review. People kept telling me to leave my own comments but I couldn't because I never scrolled to the bottom of the plan where the "go to review" button was. Overall: It reminds me when quarterly reviews are? Pros: I have an overview of my entire organisation, it creates some useful analysis of the data automatically, it allows remote management to use an online system and it is straightforward to use globally. A great improvement on the previous system that was based in word. I am a line manager for 4 people. Cons: > Value range for rating is locked to be between 1 - 10. Internally our rating is 0-3 so this causes alot of confusion. Very positive. Has got my managers talking to their staff on a regular basis which is what I want. Pros: Easy to use - encourages conversations and the recording of conversations - a rich flow of data to help me see performance trend so I can really manage individual and team performance. Support is top quality. Looked at other systems and Workcompass was the best. Overall: Our performance management process is working. Our team see more value in the process and I have data to see trends. WorkCompass has allowed us to run our performance reviews in a fraction of the time that it used to. Pros: It helps our managers have more regular performance conversations with their employees. I can see how important goals are progressing and what goals off track. Support from their team has been brilliant. Cons: Not much that`s not to like about Work Compass. There were a few areas of the tool that we could not customise. Work Compass enables us to easily and visably align our business goals with our employee's goals. 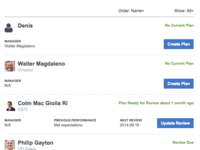 Pros: The fact that it provides real-time feedback to manage performance. That it is simple to use and gets to the important performance and development discussions quickly and easily. It's saved us considerable time at performance reviews. The Insights function gives us great visibility enabling us to take a proactive and positive approach to performance management. The managers and employees love it! Cons: It's difficult to fault the software but there are a few tweaks that would make it perfect; Work Compass is aware of these and I believe they are included in the scheduled development anyway. Pros: I don't find any features of this software particularly user friendly. The only positive feature I can mention is that it prints out better than it looks on screen. Cons: As I only use this software twice yearly, I have forgotten how to use it by the time I need it again. usually the first of my colleagues to use it ends up showing everyone else how to load and save data. Pros: Easy to use and the layout is generally nice and presented well. The public and private commentary is useful for processing review feedback for managerial maintenance. Cons: It became necessary to save each update or series of updates periodically as leaving it all to the end sometimes resulted in an error. Also while in edit mode for one adding comments adjacent to goals, the very light grey little arrow to the right is not very visible on LCD screens if the screen is tilted in a certain way. People without strong vision would be stumped. 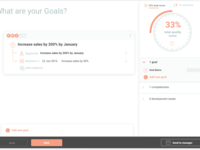 Overall: Performance Management tracking and goal/milestone setting. We use to do and control the Personal Development, I mean the objectives of my team. Pros: It helps me to follow the targets fixed for the business in the different teams and do it on time. It is possible to see how the team performs achieving the objectives. It is a project plan that reminds me of all the milestones just on time. It makes it easy to be focused on the important issues. Overall: To have a tool that focuses the organization on achieving the objectives. The tool reminds me when it is necessary to finish the milestones to perform in line with the year objectives. 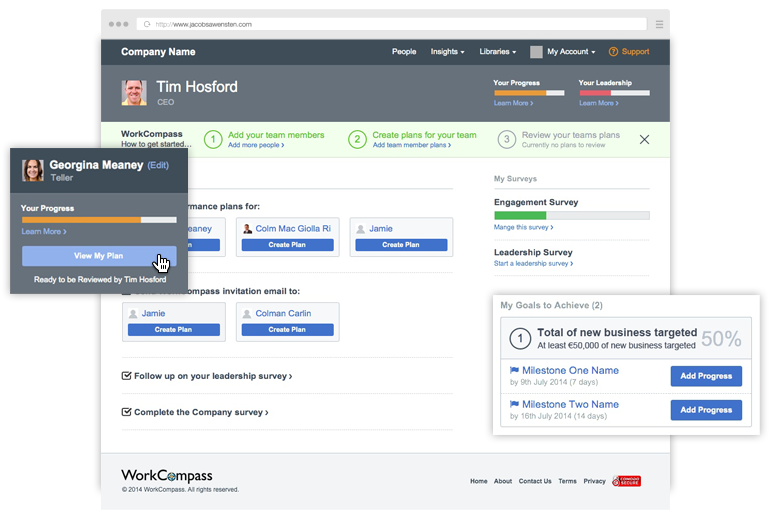 We've used WorkCompass for our employees reviews for the last few years, it's been very helpful! Pros: The way it guides me to have effective employee reviews and the customer services was quick and on the spot when I needed it. Cons: Too many reminders, but I think there's a way to fix it, never got around to do that. THE SYSTEM IS EASY TO USE AND GIVES CLEAR INSTRUCTIONS. Pros: I LIKE THE WAY I GET REMINDERS THAT I HAVE TO COMPLETE VARIOUS TASKS. GOOD CLEAR INSTRUCTIONS AND IS EASY TO NAVIGATE. Cons: NO ISSUES. I AM NOT VERY COMPUTER SAVY AND I HAVE NO ISSUE USING THIS SYSTEM. IT SEEMS A GOOD SYSTEM. Pros: Easy to use, and light interface. It helping me to identify my developmental opportunities and is an important part of a succession planning process. Cons: Comments edit should be more expandable when you on focus to some of the blocks. Performance appraisals are very time consuming and can be improved with adding hints or already designed examples. Very good. We now have a simple process that works. Pros: Conversations are happening! We real-time reports and data for managers and HR data Support is top class - Very happy! Cons: I need to uncommit a plan if I want to add more goals once previous goals are achieved. I believe this is being changed in the coming weeks. Overall: Process is working and significantly more efficient than before. Works fine, it's quick and easy to use. Pros: Ease of use mainly. It's accessible on the web, the interface is fairly clear. There are no major faults that make it problematic to use. Cons: No real problems. The menus can be a bit hard to access when the text is magnified more than 100%. (On the employee review screen). Overall the tool is good. Pros: Better than handling reviews manually. There is some track over each objectives but can be improved. Cons: The way you add comments on the side of each objective is not good. The size is small, you have to "expand" the text box. I'd improve it by adding comments below each objective. Pros: What I like most about this software is that you can create a plan to certain individuals. This can be useful because it allows both parties to engage in discussion and formulate a plan that is suitable fo both. Cons: The software could have used more features other than creating plans with others. Thanks for your review Ammar. Much appreciated. Happy thanks giving! In general it is good. It captures most things, though practices have changed to accommodate. Pros: Conducting a review is easy, as people have commented on each item. Overall layout of the site is good. Overall: It captures yearly goals in a more freer manner than a document template. It is easier for the reporters and reports to input their feedback on an ongoing basis. Pros: Makes appraisal much easier for staff and managers. 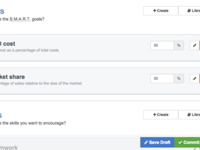 Allows me to easily assess progress and outcomes at a click of a button. Cons: Grandparent viewing of appraisals might be more intuitive. Possibly a print user guide for those who are less comfortable with help desks. Overall: Helped us to remove an onerous twice a year paper based exercise. Pros: It facilitates the work about performance and provides handy notifications. It seems to properly handle milestones and dates and definitely is much better than our previous solution based on google docs. Cons: The interface is very uncomfortable. The comments box on the right are tiny and difficult to work with. It seems to be badly organized. The tool might be great, but the interface needs rework. Features are not bad though. Overall: One centralized place on internet. Pros: Easy to use and the support staff is excellent when it comes to clarifying queries. Have been using it for a while and not a lot of complaints so far. Cons: I wish there was some flexibility for employee to modify their goals once submitted. Also, not a very straightforward application. Takes a bit getting used to. 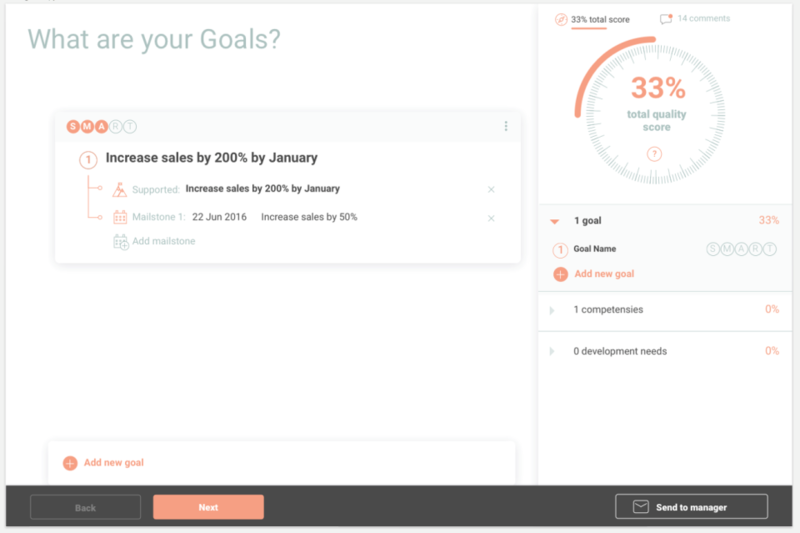 Pros: WorkCompass lets me capture my performance objectives and the progress made against those objectives in a fairly painless manner. I like that I don't have to work around or against the tool! I used the live support feature once and was pleasantly surprised. Cons: The interface could use some rethinking, especially around adding and editing comments. The workflow around editing/committing plans could be clarified. So far it has been an easy and user-friendly experience with only a few learning curves. Pros: I like that WorkCompass can track the work that needs to be done and provide deadline reminders. It has a clear layout and seems to be very practical. Cons: There were some issues with added text not saving and then having to be recaptured. This was a little frustrating and time-consuming. Pros: can set very detailed goals and milestone. very helpful for complete the goals on time. The reminder emails are helpful too. 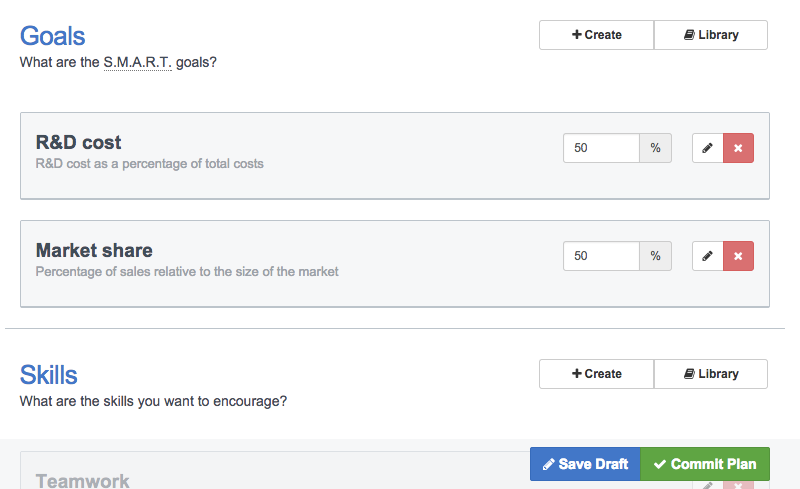 Pros: It is easy to use and helpful to organize your goals. It is pretty straightforward and a decent user experience. Cons: The boxes to enter your goals/tasks etc do not expand. This makes it difficult to use when you are writing a good amount of text. I found work compass confusing/difficult to navigate. Our previous system was easier. Pros: The email reminder notifications is helpful in tracking progress. I like being able to print the document. Cons: I found the document difficult to navigate. Many staff were confused on how to use the software as well. Overall: I like having an on-line system to document the staffs progress. Pros: It looked nice. The initial set up looked very clear and functional, but again once we got to usage there were many issues that arose. Cons: Lots of redundancies and there were lots of things that popped up where we needed customer service. For example, we got different screens after submitting information and then when we got ready for sitting down with staff, it did not look the same as well as questions were different. WorkCompass is extremely easy to use and has opened the lines of communication. Pros: It's user friendly. It has opened the lines of communication for employees and managers. Their one on one's are more productive and less likely to forget issues or praises. Cons: Having to uncommit a plan if you need to add more goals once previous goals are achieved. Some goals are quickly achieved and managers want to add new goals a few times a year and the plan has to be uncommitted and then recommitted. It would be nice if goals could be added with out the uncommit feature. Pros: The instructions are quite clear and straight forward and it gives room for the possibility to edit without difficulty. By so doing, the work plans are well refined at the end of the day. Pros: This online tool is very user friendly. And its interface is also so simple for the help of new users. We found this to be difficult to navigate especially when reviews were required. Pros: It was ideally all electronic with good customer service assistance. When components were confusing, assistance was readily acceptable. Staff were able to navigate with assistance. Cons: Very confusing that there were two different components required. It is very unclear how often reviews are due.